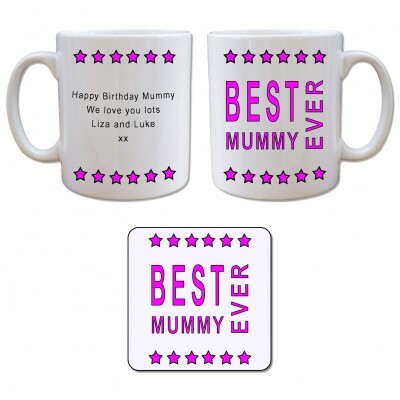 Just personalise this bright bold design with your own personalised message upto 4 lines. Dimensions. Mug H9cm (diameter 8cm), Coaster H9cm W9cm. Supplied in a clear acetate gift box.